The brush size and variety on this amazing ranch is absolutely outstanding, and the brush types in the area are excellent for promoting phenomenal antler growth. Wildlife on the property is impressive: the whitetail deer herd offers excellent quality and numbers. Turkey are abundant and the quail population has been enhanced by a portion of the ranch being roller-chopped. Dove hunting is excellent and there are also wild hogs and numerous other species that provide year round hunting opportunities. The ranch measures approximately seven miles from north to south and a little over three miles from east to west, with varying terrain throughout. On a separate tract on the north side there are three miles of beautiful Leona River frontage, known for its gorgeous river bottom. Carrizo water wells capable of pumping 300 gallons per minute are located throughout the property, as well as numerous stock tanks, which are capable of providing excellent fishing. 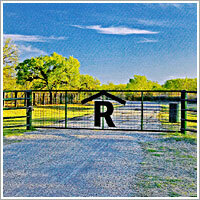 The ranch has over three miles of frontage on both sides of FM 117 and over seven miles of frontage on Loma Vista Road. 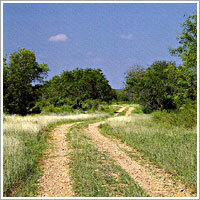 There is an excellent road system within the property, and all the roads are well maintained. The property is fenced and cross-fenced with predominately low perimeter fences, all of which are in good condition. The grounds throughout the ranch headquarters compound have been beautifully landscaped and are meticulously maintained. This fabulous ranch has been in the same family for over a generation. Over the years, the family has done a tremendous job of maintaining the property and the wildlife. Because of its excellent location, fronting on a state highway and an all-weather county road, this ranch will divide perfectly. Approximate parcel sizes will range from 1,400 to 6,800 acres. All information is correct to the best of our knowledge and ability but cannot be absolutely guaranteed. Acreage figure is from outside source. Interested parties please verify measurement. Tract sizes are subject to change as subdivided tracts may go under contract at any time.